This little guy came to keep me company yesterday. He attached himself to the screen right outside where I was working. I couldn’t believe he didn’t fly away as I moved to screen to step outside and take his photograph. He was there for a good hour. 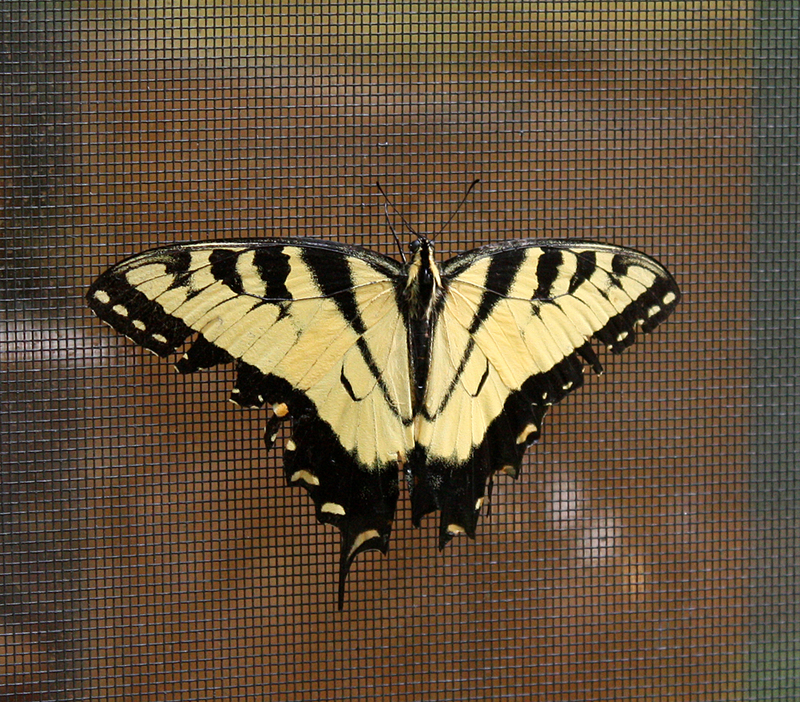 (After looking it up, I think it’s a Tiger Swallowtail butterfly.) He looks a little beat up, doesn’t he. This entry was posted in Uncategorized on July 31, 2015 by Bix.